Although interpersonal word-of-mouth communication, by definition, takes place between two people, rarely has the phenomenon of word of mouth been studied using both members of the dyad. Building on the literature, this article offers a model of active interpersonal information search that is tested by using a method in which information seeker and source perceptions were obtained. Source characteristics were important determinants of interpersonal influence, but seeker characteristics also played an important role. Interestingly, it proved useful to distinguish between demographic and attitudinal homophily of seeker and source as the former was inversely and the latter directly related to interpersonal influence. Mary C. Gilly is an associate professor in the Graduate School of Management and associate dean of Graduate Studies at the University of California, Irvine. Her Ph.D. is in marketing from the University of Houston. Her research interests include the unintended effects of marketing actions, such as the effects of advertising on employees. She also has interests in services marketing, such as customer service, including consumer complaint handling, and cross-cultural service encounters. Her work has been published in theJournal of Marketing, theJournal of Consumer Research, theJournal of Business Research, and other academic journals. John L. Graham is a professor in the Graduate School of Management at the University of California, Irvine. His Ph.D. is in marketing from the University of California, Berkeley. His primary research interests regard international marketing, international business negotiations, and structural equations modeling. 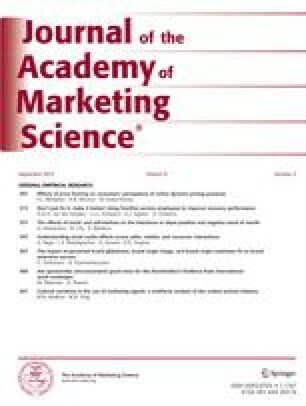 His work has been published in theJournal of Marketing, theJournal of Consumer Research, Marketing Science, theJournal of International Business Studies, Management Science, and other academic journals. Mary Finley Wolfinbarger is an associate professor at California State University, Long Beach and is doing research on the topics of internal marketing and gift giving. She teaches Marketing Principles and Marketing Research. She received her Ph.D. in marketing from the University of California, Irvine. Her work has appeared in theJournal of Marketing and other academic journals. Laura J. Yale came to Fort Lewis College in 1991. She holds degrees in Hotel, Restaurant, and Travel Administration from the University of Massachusetts, Amherst, and received her Ph.D. from the University of California, Irvine. She teaches a variety of courses in Marketing and Travel and Tourism Administration, including Marketing Research, International Marketing and Services. Her industry experience and most of her research interest are in the services sector, particularly the tourism industry. She is on sabbatical leave this academic year, writing an introductory textbook on the tourism industry. She will return to teaching in September 1998.